Black beans give this chili recipe a twist. In a large pot, add ground beef, season ground beef with salt, pepper and worchestershire sauce, stir until crumble and no longer pink. Add onions, stir and cook 2 minutes. Stir in the remaining ingredients, reduce heat to low, cook 30 minutes. Garnish with sour cream and shredded cheese. 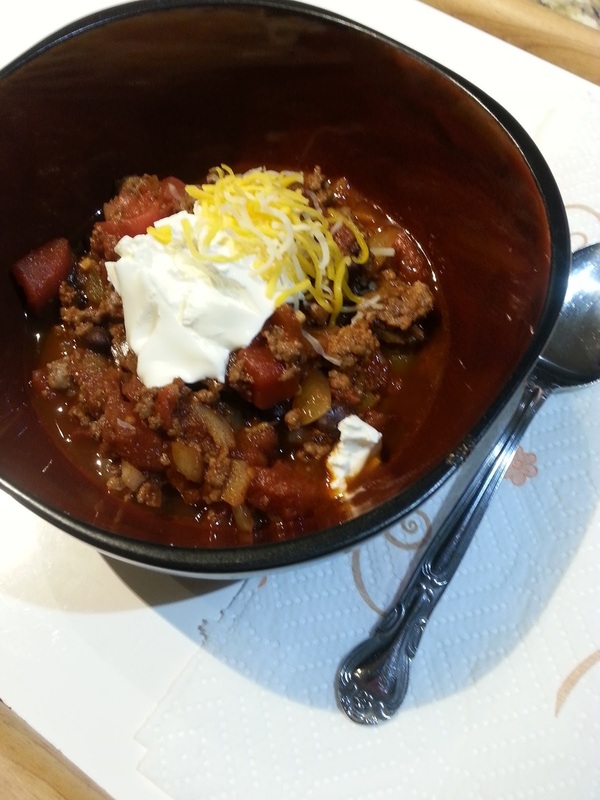 Black bean chili is my FAVORITE chili and this recipe looks easy and delicious! Love this kind of chili! Eady recipes make me happy! This sounds like the perfect warm, hearty deliciousness for a cool fall evening... Yum!